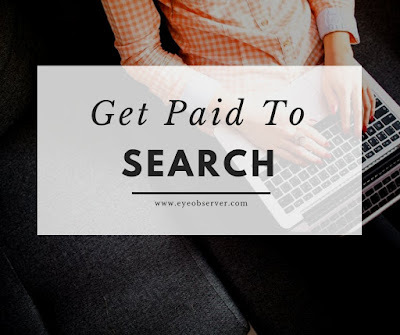 You get paid 0.25 PRE tokens per search query and can earn up to 8 PREs per day. Once you have accumulated 1,000 PREs, you can withdraw them and exchange them for cash on an exchange. The current market price for a PRE token is $0.05 although it has been as high as $0.66. Doing the math, assuming you accumulate the maximum of 8 PREs per day, it would take you 125 days, or about four months before you can cash out. So in four months, your Internet searches could pay you anywhere from between $50 to $600. Literally pulling money out of thin air. Probably the thing i like best about Presearch versus the other paid to search options out there is that my normal search behavior isn't altered that much. You can get paid to search on all your favorite sites including Google, Reddit, HackerNews, Google Finance, Bing etc. You're not forced to use a proprietary search engine that doesn't give you what you want. The picture above is populated with my favorite sites that i can search through directly from Presearch. In fact, i find it to be a lot more convenient for some sites like Reddit compared to searching directly on the site itself. Signing up for Presearch is simple. All you have to do is to go to their website, create a new account by providing your email address and you're done! That simple. You could also click on the banner link at the top and bottom of this article. As a bonus, you will get 25 PRE tokens and i'll get 25 PRE if you complete at least four hundred search queries. Hope you found this article useful and happy searching!